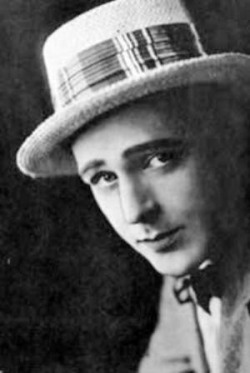 Introduction - The Films of Wallace Reid silent era films of Wallace Reid. Wallace Reid was an American actor from St.Louis ,Missouri. He was born on April 15, 1892 and died on January 18,1923. In his short life span, he directed, wrote and starred in well over a hundred films, making him one of the most prolific actors who ever graced the silver screen. Wallace, whose nickname was Wally, was a very hard working actor, considerate to his co-stars and never one to complain or make demands on the set. This site is dedicated primarily for his many films so that the present generation will remember him as a multi-talented and versatile artist. 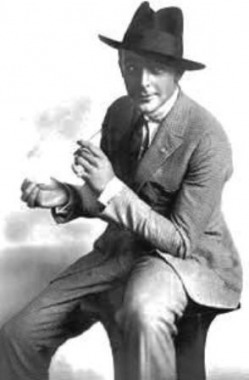 When he first came to Hollywood in 1910, acting was the farthest thing from his mind. He wanted to be a camera man or a scriptwriter or a director. But his good looks and brilliant personality would eventually lead him ,not behind the camera, but in front of it. 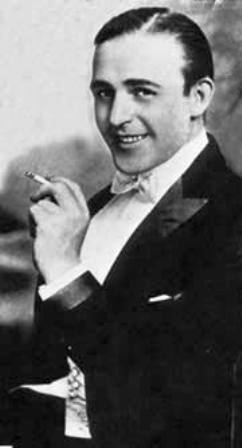 He became a superstar of the silent era and at one time was even considered as the "King of Hollywood". He started to work in flims in 1910 and continued on until 1922, before his death. 1). He was musically gifted and he can play almost any instrument as soon as he picks it up. He played the violin, the saxophone, the piano, and even the drums ,quite well. 2). He had a beautiful singing voice. So much so ,that Ms.Geraldine Farrar , his leading lady who was a famous soprano , told him that if he wanted to get out of acting, he can make a good living as a singer . 3). He was not only an actor, he was a director ,a writer and a camera man as well. 4). He was a painter too. 5). He was such a hard working artist that he made over 185 films in 12 years! In those years, he popularized the sportscar and sportshirt and showed the advantages of using a typwriter! He even performed his own stunts as a race car driver. 6). He was a thoroughly lovable and likeable fellow and even at the height of his popularity, his ego didn't swell He was an obedient employee of his studio (so obedient in fact that it cost him his life). 7). He had a kind heart and he got along so well with his co-stars and the crew in the set. 8). He was adored by both his fans and his colleagues. 9). He was a faithful husband to his wife Dorothy Davenport. In his youth, he didn't sow any wild oats. He was also a fantastic father. 10). He was a good provider not only to his wife and kids but to his mom and dad too. The purpose of this site is to show that Wallace Reid was a great talent and a wonderful person. That he is known these days mainly for his untimely and sad death is so unfair. This should not eclipse all his contributions to the Film industry in its infancy in the early 20th century. I think Wallace Reid has earned a venerable place in the annals of film history. He is not merely a footnote to it.